Staying warm in your camper is a high priority even during the summer months as the temperature drops sharply overnight. We have 3 options available for you to keep your van warm all year around. This is a very economical Gas only heater. It can be run from a variety of gas sources and types, mostly what we find is people wish to run them from their camping gaz bottle or from an underside LPG gas tank. Usually mounted under the rear seat, it provides almost instant heat and is our most popular heater installation. It can also be used while you drive. This unit goes one further than the gas only system as it also has an electric coil for those who spend most of their time on campsites with electric hook up. You can then choose between gas or mains electric so you can reduce the amount of gas you will use. If you need warmth while driving, use this on gas fuel and it will keep your van warm. 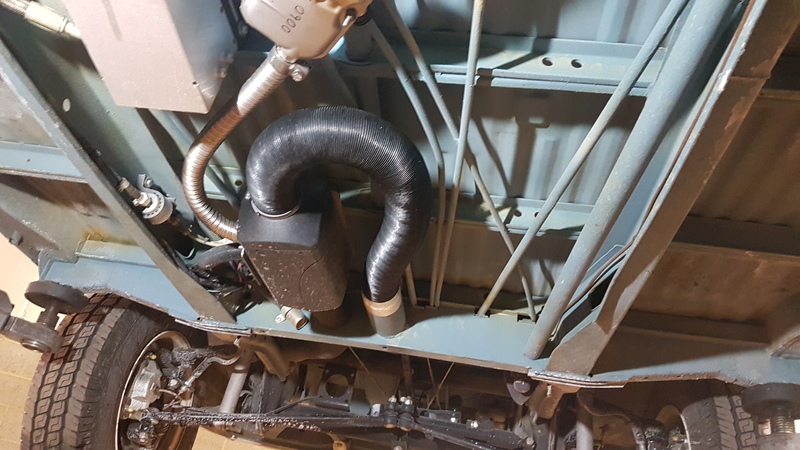 It might sound daft to install a Diesel heater into a petrol powered van but the benefits are massive. By installing a small 5L tank in the engine bay or under the van you don't need to house a gas bottle in the van and you have the luxury of a very efficient fuel source. Powered from the leisure battery it draws very little current and will have your van warm in minutes. This unit is found in a huge number of commercial vehicles and is also perfect for use while driving.